In my last article, before diverting quickly up to Durham, I was recollecting my days as the humble knackerman at the Warwickshire and how much that experience taught me. 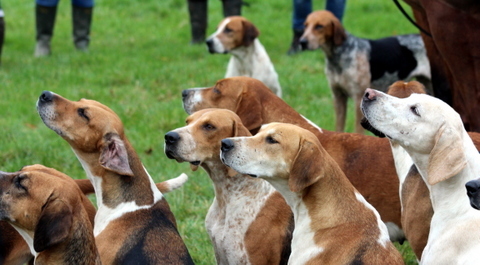 So, now to the other important part, the hounds and the hunting! With the Heythrop on one side of the Warwickshire Country in the latter days of Captain Wallace, and the Bicester and Warden Hill on the other side with the young Captain Farquhar at the helm, we had to look sharp! The North Warwickshire were close by with their young team of lady masters under Captain Arkwright’s guidance and we must not forget the Pytchley, who at the time were firmly in the hands of the Saunders family and were also in the business of producing top class results. There was no doubt we were in the thick of it and had a lot to live up to. However I don’t think we did too badly and pretty well held our own! At this time I was becoming increasingly aware of standards and how important they were. This had been drummed into me since my youth, but I now understood as we were surrounded by the big guns how much it really mattered. Actually in a funny sort of way, it seemed to flow totally naturally. Why? It was because all the packs around us and that includes the Warwickshire itself were run by the top class men and women of that time, either in the mastership or in the kennels and this rubbed off meaning things were properly done.